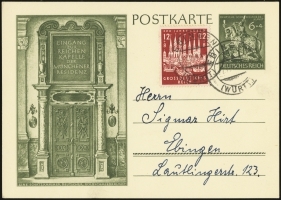 This card was released on 1 October 1943 to commemorate the 11th anniversary of the German Society for Goldsmiths. 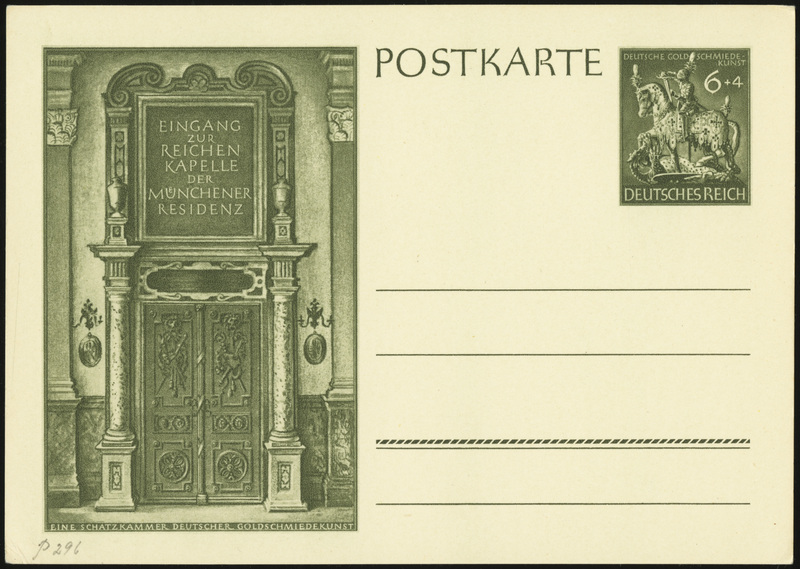 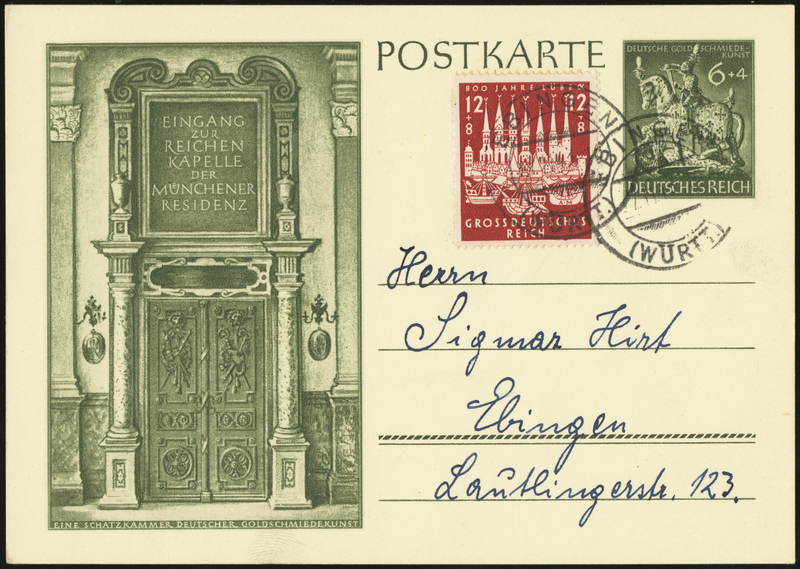 The card depicts the entrance to the German Chapel of the Residence in Munich, and the stamp design matches the stamp (MiNr 860) released to commemorate the same. 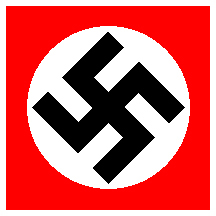 The stamp design is St. George, patron saint of the Teutonic Knights.